Two Strengths Of Infant Acetaminophen Boost Confusion, Risk : Shots - Health News Infant pain medicines are being changed to make them safer, but right now both old and new concentrations are on pharmacy shelves, increasing the risk of accidental overdoses that prompted the changes in the first place. Parents beware. When makers of acetaminophen for infants said back in May that they were reducing the strength of the medicine so it would be less likely that babies would be accidentally given too much, it all made sense. Some infant acetaminophen had as much as 80 milligrams of acetaminophen in a milliliter, while products for older children had less than half that. Children were ending up in the emergency room with life-threatening overdoses, probably because parents were using the high-strength medication with the dosage directions for the lower-strength versions. Some children died of liver failure. The solution was to switch to just one concentration for all children under age 12. But that hasn't happened yet. Right now, both old and new versions of infant acetaminophen are on store shelves. And some of the "old" medication is actually labeled "new." Sheesh. 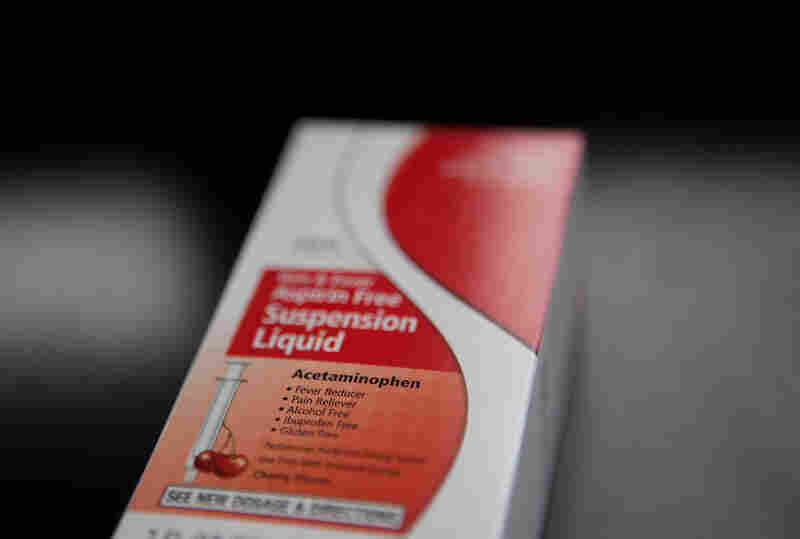 The Food and Drug Administration released a consumer alert this week, warning parents that they need to look carefully at the amount of active ingredient per milliliter in infant acetaminophen each time they use it, and to make sure they're using the dose for that concentration. But the FDA alert seemed a bit dense for this addled parental brain. So Shots called up Emily Skor, vice president of communications and alliance development for the Consumer Healthcare Products Association. That's the group that led the voluntary switch to single-strength acetaminophen back in May. "All of the manufacturers are doing this to make it easier for parents," Skor said. "But it is hard to explain." If you have a child over age 2, it's pretty simple to do the right thing: just follow the instructions on the label. But with children under age 2, right now the medication label says consult your pediatrician. "You have to look at the concentration, and match that to the concentration dosing instructions that your pediatrician has given you," Skor says. She has two children under age 5, so she's got experience with this. Skor checks the printed dosing information from her pediatrician, or looks at the pediatrician's website. When will the confusion end? Skor says that manufacturers expect the more concentrated versions to be out of stores by early 2012. But that doesn't mean that families won't still have old and new formulations in the medicine cabinet. So any parent giving acetaminophen to a small child should be prepared to look very carefully at the concentration in each product, at least until you're sure there's no more of the 80 mg concentration in the house. Or make life simpler and throw the old stuff out.